Netent Live – €50,000 Cash Extravaganza! 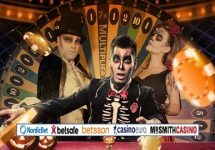 Play LIVE at Casino Euro! 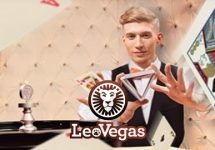 Win up to €25,000 in cash! Bowties, tuxedos, fancy dresses and all that jazz, and you don’t even have to leave the house for it. 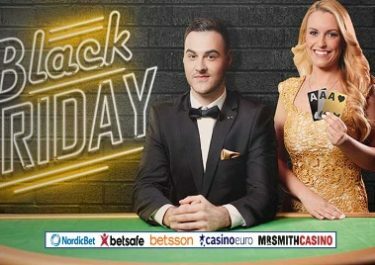 All Live Casino enthusiasts and wannabees at the ready as NetEnt LIVE is dropping this week some serious cash on their live casino tables to the amount of €50,000 and you can claim a share right. Play on any Live Blackjack or Live Roulette table at your favorite casino throughout the week and earn tickets to the prize draw for every €20 wagered in cash bets. For all Live Casino enthusiasts, this is the moment to show your skills at the live tables. Netent launched this week one of their network wide campaigns and this time it is reserved for the Live table players. 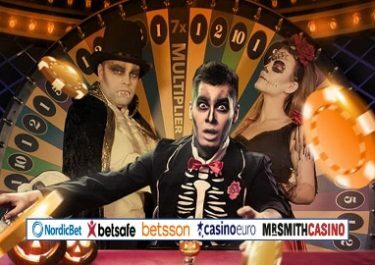 They can earn one ticket to the €50,000 Cash Extravaganza Draw for every €20 wagered on the qualifying tables, with a maximum of 50 tickets per day throughout the promotion period from 19th to 25th March 2018. Qualifying tables: All NetEnt Live tables including Automatic Roulette. On 26th March 2018, Netent will randomly draw 10 winning tickets from all eligible entries and allocate the prizes in order the tickets are drawn. The winners will be announced by 17:00 CET on 27th March 2018. All prizes are cash and will be credited to the players’ accounts with no wagering requirements. Winners can be drawn from any participating casinos, hence, one player can win multiple prizes. Terms and conditions apply. Cash Prizes: 1x €25,000 | 1x €10,000 | 1x €5,000 | 7x € 1,500.